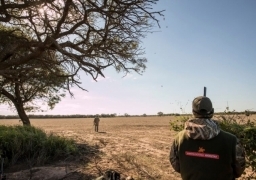 May is one of the best times of the year to come wingshooting in Córdoba, Argentina. 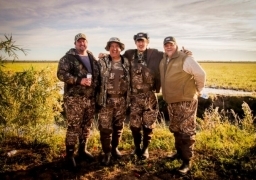 It's better yet if you come with friends ready to hunt, have some fun and meet new people. 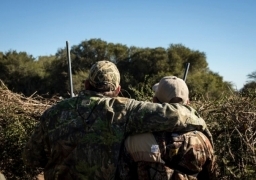 With Pointer Outfitter, you will have a magnificent hunting experience. 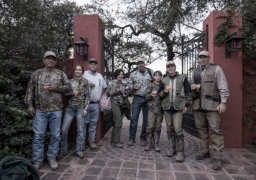 We provide a relaxed and friendly atmosphere and we always try to fulfill our guests expectations, especially when they are experienced hunters who have travelled all around the world. 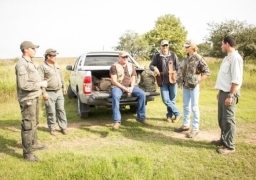 We’re always excited to take groups of friends hunting! 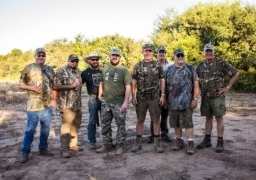 And let me tell you, we had a blast with this group and it felt like we were hunting with longtime friends! We can’t wait to see them again! 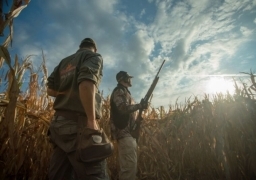 May is a promising month, because it marks the beginning of mixed bag season! 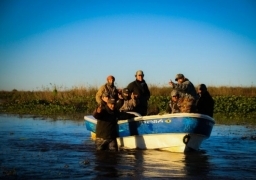 A good mixed bag comprises mostly Argentinian dove, duck and perdiz hunting, and pigeon hunting and Dorado fishing. 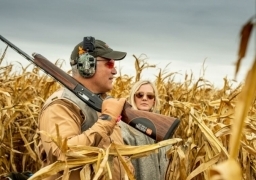 One month into fall makes the month of April into one of the best times to come hunting with us while enjoying the company of some friends. After a long flight, Michael Guess and his friends arrived in Cordoba. We were waiting for them at the airport. 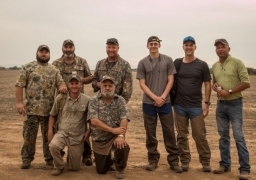 They were picked up and then taken directly to the field in which our chef was waiting for them with the incredible Argentine asado, and where some friendships were ready to be made…! 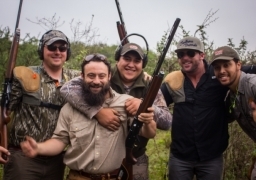 We have been hunting together with Greg Reyes a couple of times in the last few years, but this last hunting trip was different. 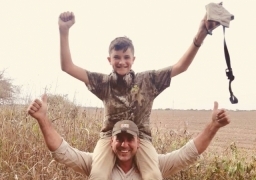 We were looking forward to meet our friend and his family once again. It was, probably, the best trip ever and we find out that we should repeat it more often.